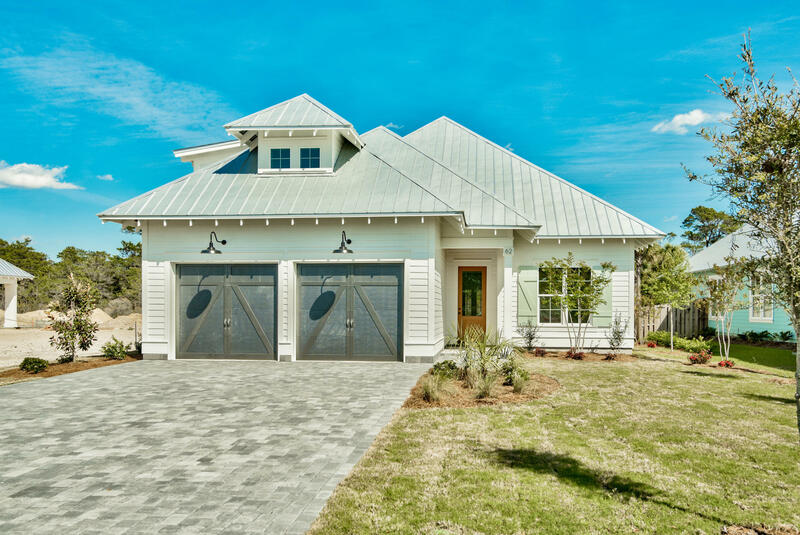 The Cottage Estates is nestled within walking distance of Gulf Place and the unique Ed Walline Park with beach access, parking, restrooms, picnic tables and viewing platform. The quaint neighborhood consists of 5 Coastal style homes on gracious lots, large enough for private pools and guest houses. Three of the four bedrooms are located on main floor and have full baths. The 4th bedroom is located on second floor with a full bath, living area and large theatre room, sitting area, study/exercise area and large closet. These custom homes will be a perfect residence, second home, or rental. Bella Beach is also offering 3 hours of free design consultation Optional pool & guest house for additional cost. UPDATE: THIS HOUSE HAS NOW SOLD! PLEASE SEE AND CLICK BELOW ON OTHER NEWLY BUILT HOMES ALONG 30A AND CONTACT ME ABOUT ANY OF THEM.